Step Down Patrick Brown ! PLEASE SIGN ! ! Patrick Brown, now-former leader of OntarioâEUR(TM)s Conservative party is accused of gross sexual misconduct on two very young women - a high school student and a junior member of his team. 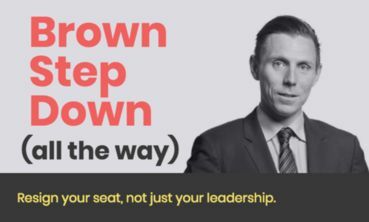 That old song "Charlie Brown" comes to mind except it's: "Patrick Brown/You're a clown!" Increase your impact by asking your friends and family to sign. Increase your impact by asking your friends and family to sign." He should be able to defend himself. Thanks Cher for the link. Signed using Postal code M4B 1B3 and post noted.